You saw the 2019 flamingo calendar. 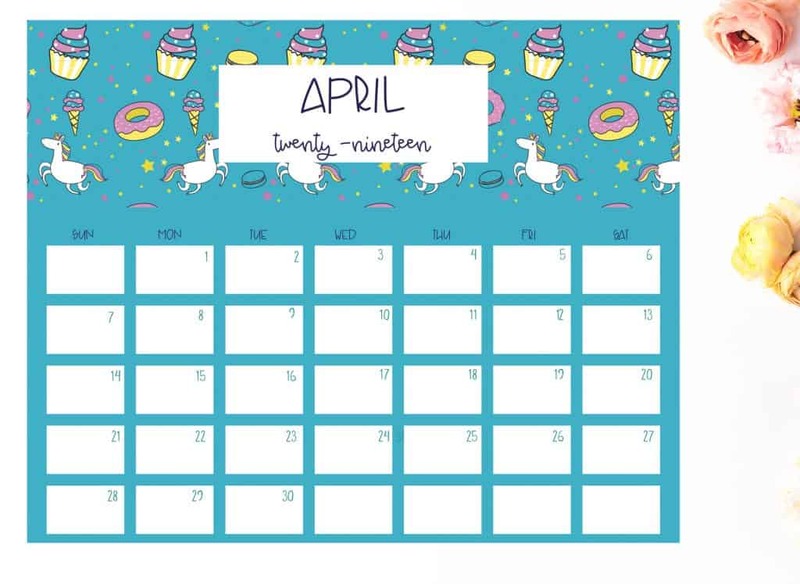 Today I’m giving you the 2019 unicorn calendar for FREE! I’m really loving these pastel unicorns. Donuts, macarons, ice-cream, and macarons are all magical. Am I right? 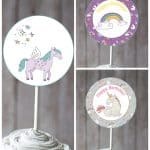 Somewhere over the rainbow are candy, cupcakes, and tons of magical unicorns. 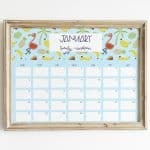 These calendars are perfect for charting down little to do’s. 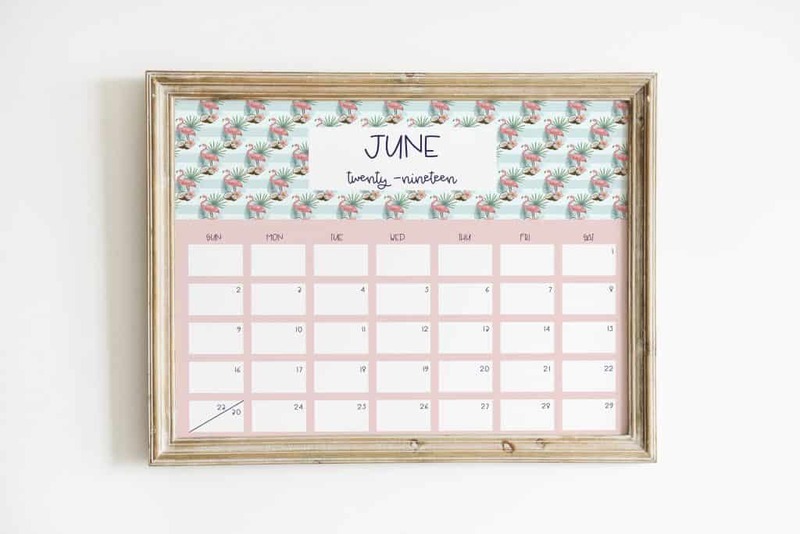 These monthly calendar is sized 8×10 for those of you who likes frame it and use erase marker to write your plans out. 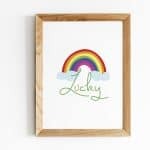 It can be easily printed onto an 8.5 x 11 copy paper. 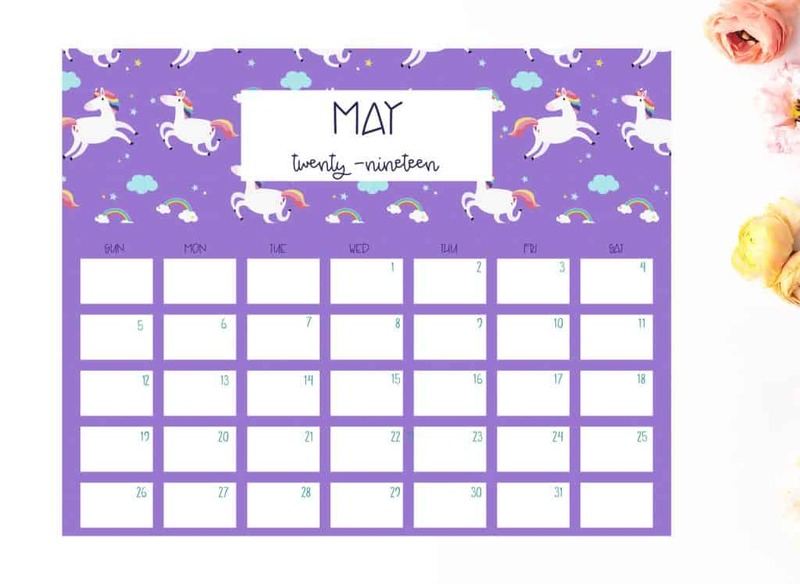 You can download this colorful unicorn calendar here. 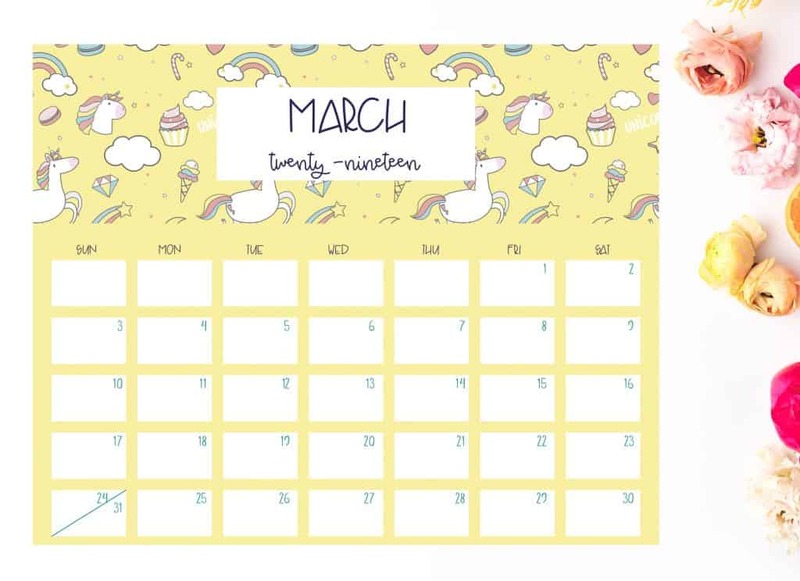 If you enjoy this calendar, please share it by clicking the image below. 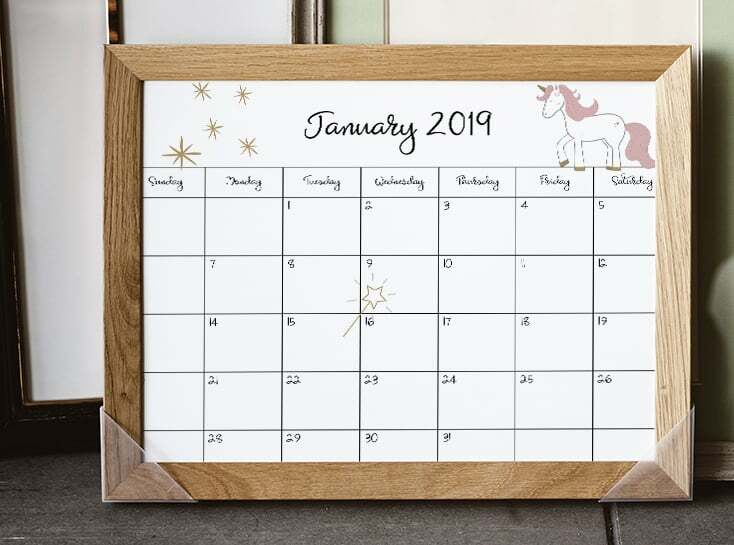 Need a simpler calendar that doesn’t have a lot of color, but still magical? 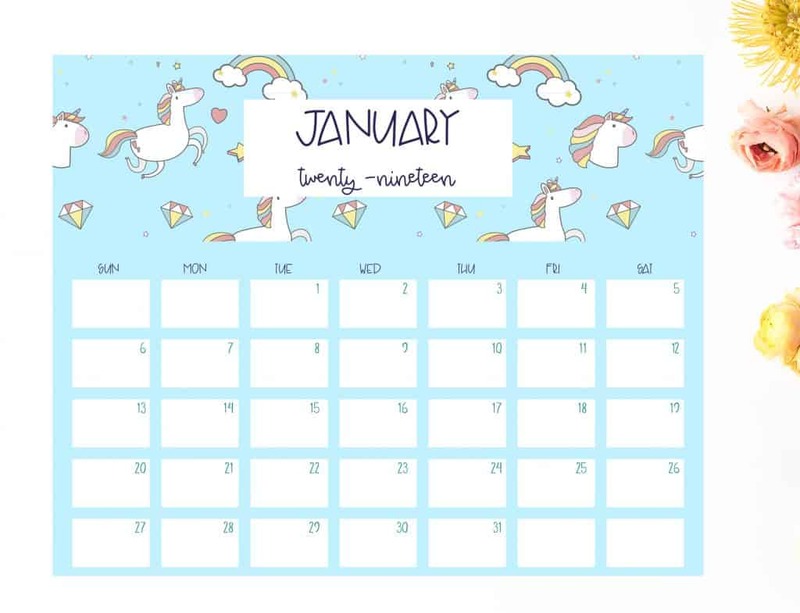 Download this 2019 unicorn calendar. 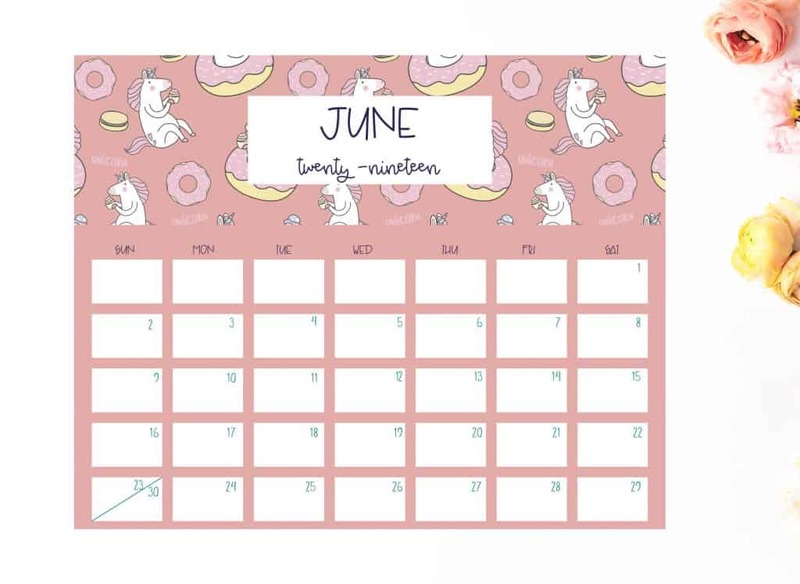 If you love flamingos, you have to print out this calendar. Love Lisa Glanz’s animal illustrations? 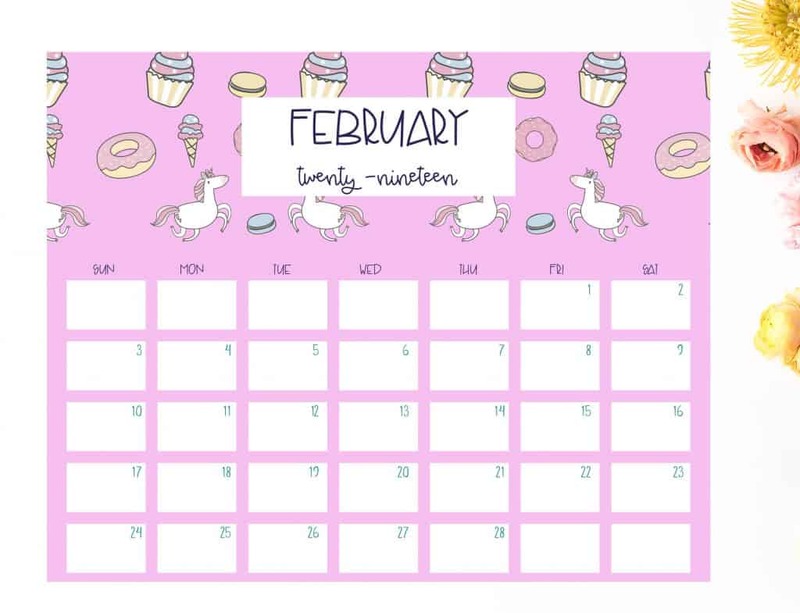 Grab this free 2019 animal desk calendar with a band so it can be gifted. 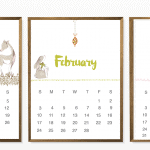 Get the 5×7 calendar. 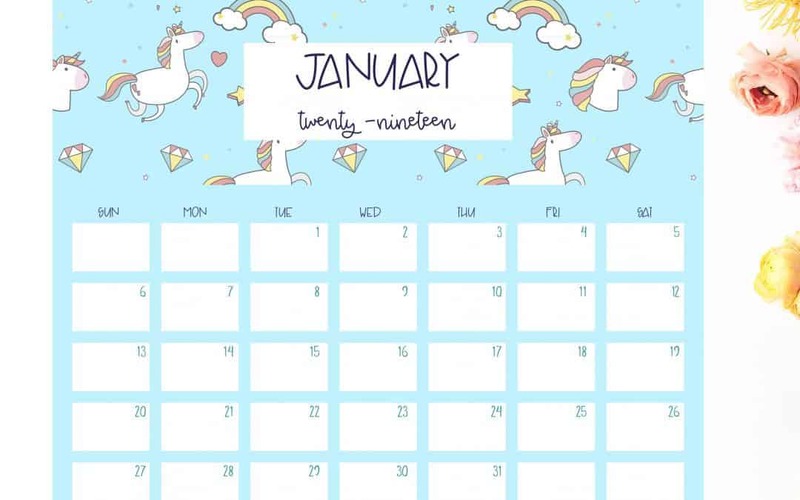 Here is a cute 2019 unicorn calendar from Cute freebies For You. These unicorns are are sooo adorable. 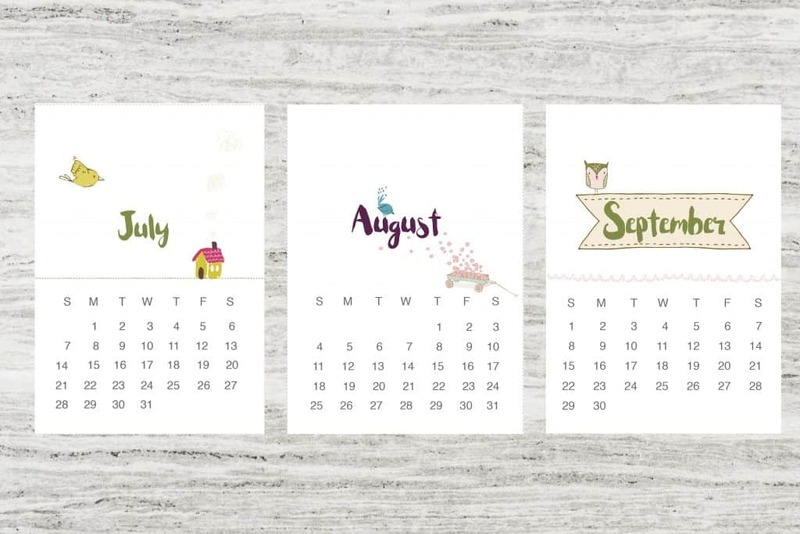 Check out the cute calendar here.